PLMA provides a forum for practitioners from energy utilities, solution providers and trade allies to share dynamic load management expertise, including demand response (DR) and distributed energy resources (DER). 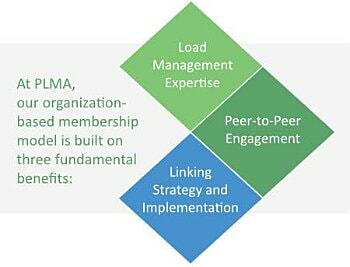 For nearly two decades, PLMA conferences, educational programs and networking opportunities have brought member organizations together to develop, implement and share proven practices in a peer-to-peer network – offering load management leadership for the energy industry. As the industry adapts to new profiles of production and consumption within an evolving delivery environment, PLMA members share a common goal to realize the potential of tomorrow’s energy industry for the benefits of all stakeholders. Collaboration helps all stakeholders better evaluate risks and strengthen opportunities, with PLMA providing visibility across diverse regions and drawing on members’ decades of experience designing and delivering load management programs. 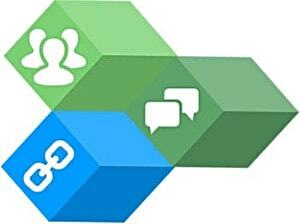 Leverage practical experience to address evolving industry needs. PLMA member companies focus on load management solutions, including a strong foundation of DR for peak load management with a growing emphasis on integration of DERs for additional system benefits. PLMA brings members together to develop, implement and share proven practices. PLMA conferences and webcasts, member meet-ups, interest groups, publications, and training provide forums to exchange experiences, lessons learned and new ideas. Help enhance connections between energy thought leaders, strategists and practitioners. To realize the potential of tomorrow’s energy industry, PLMA creates opportunities to share insights that inform business planning, explore strategies and identify practical paths to implementation. With our focus on load management, PLMA helps lead the industry by sharing expertise with other associations — allies working towards a more sustainable energy future. As an example of this collaboration, PLMA engages in research with industry partners, such as the Natural Resources Defense Council and the National Rural Electric Cooperative Association. Other PLMA industry relationships range from joint initiatives with the Smart Electric Power Alliance to co-produce webcasts with Greentech Media and Parks Associates and a newsletter co-published with Utility Dive. To further load management education, PLMA conducts several training courses hosted by energy utility companies and places volunteer presenters at events produced by organizations such as the Association of Energy Service Professionals and United States Energy Association. In addition, PLMA cross-promotes activities with Smart Energy Consumer Collaborative, OpenADR Alliance, and many other association partners. PLMA does not engage in lobbying or standards development, and we are not focused on any one technology area. 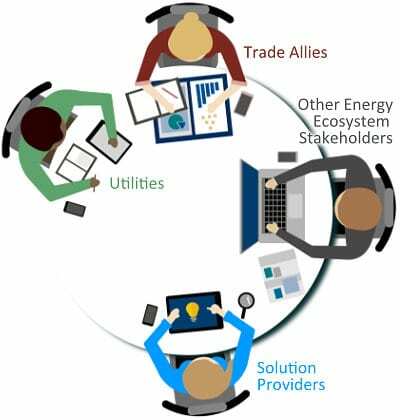 Instead, we bring staff of member organizations together to collaborate and realize shared goals that can benefit all energy industry stakeholders.